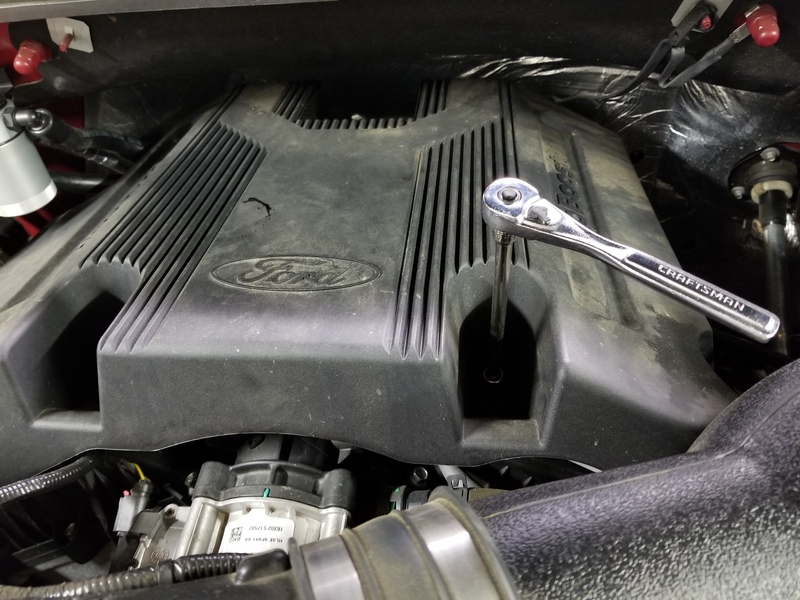 So I'm a crappy member and didn't do a full write up on my mod installation like some of you rockstars but this install was VERY easy with the supplied instructions if you have even moderate mechanical ability. 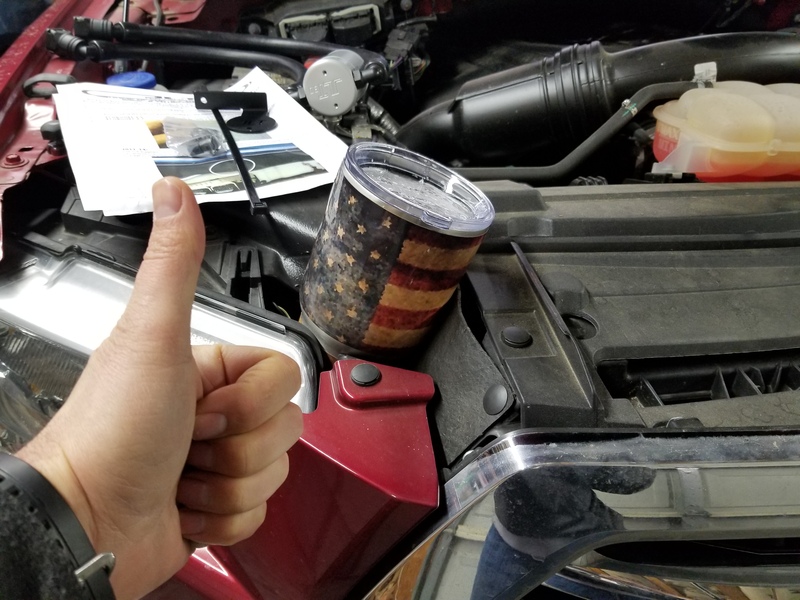 First get all your parts and find a good spot for your beverage of choice so it doesn't get knocked over but is still readily available. Obviously someone at Ford is a beer drinker. Follow the instructions to remove the plastic cover and install the catch can on the firewall. 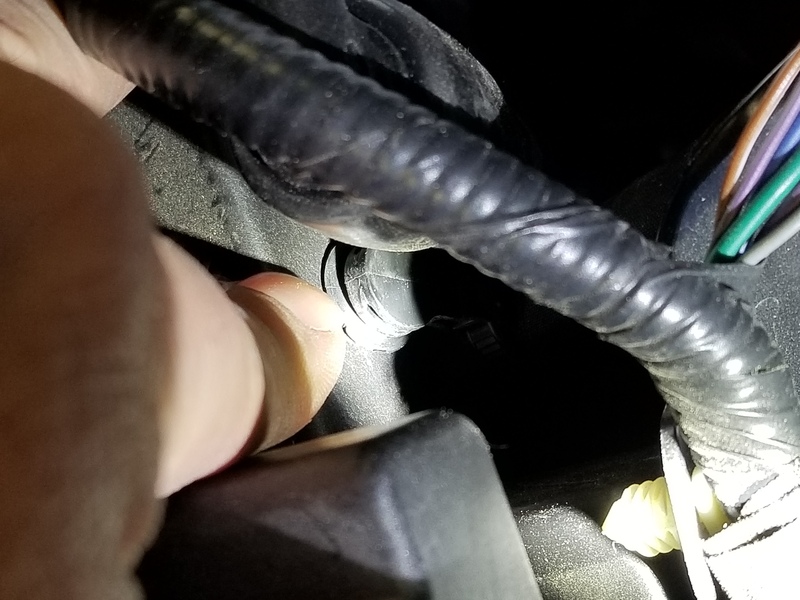 Everything is cut to fit, the right lengths and OEM style connections. Removing the harness and this mounting point was about the most difficult thing about the whole thing, you can see in the 2nd picture why the harness has to move. and results ... I put this in this past end of summer/fall timeframe and have put ~ 8K miles on the truck. Of note ... I think I'll check it every 4k miles at least in the future. I'm not totally happy with the fact that the exit side "screen" area was coated with copious amounts of oil meaning there's still been oil getting by. 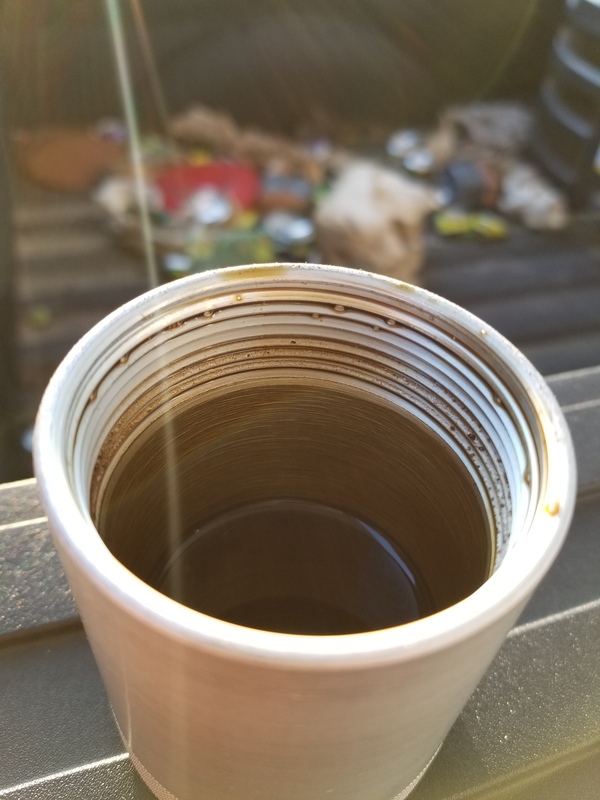 Also, there was a heavy fuel smell in this oil that was in the can which is to be expected but zero milkyness that others have seen. 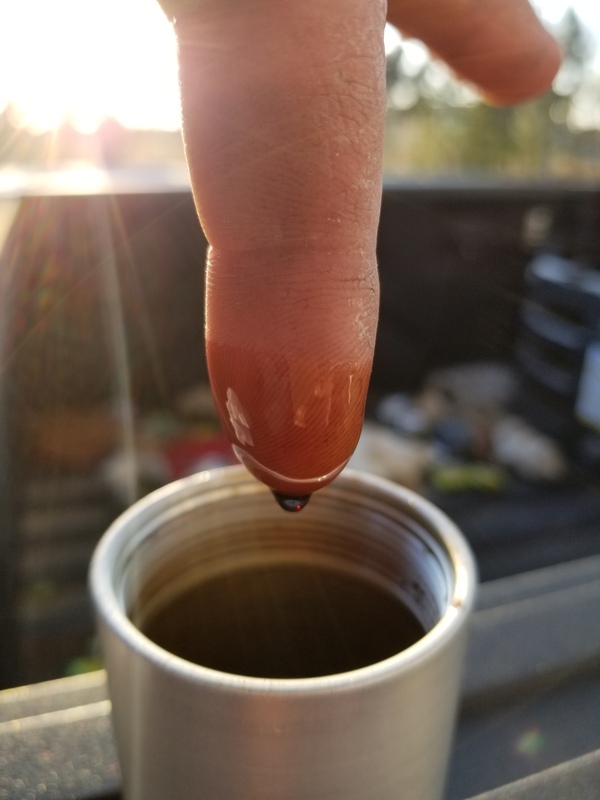 next time should be around 22K miles on the truck so we'll see of the exit side stays saturated with oil or if that will be frequent enough to catch all the oil and do what it was designed to do. Other thoughts, I wish this had a bigger reservoir and better way of keeping the oil in it separate from the exit side of the can. in the end I'll just have to be more attentive to this particular model I bought, I believe this was version 3.0 for the JLT. Last edited by JoeKool315; 03-26-2019 at 08:56 AM. Yes, you are a horribly crappy member...but have totally redeemed yourself with this very informative tutorial. Well done! Of note ... I think I'll check it every 4k miles at least in the future. I'm not totally happy with the fact that the exit side "screen" area was coated with copious amounts of oil meaning there's still been oil getting by. 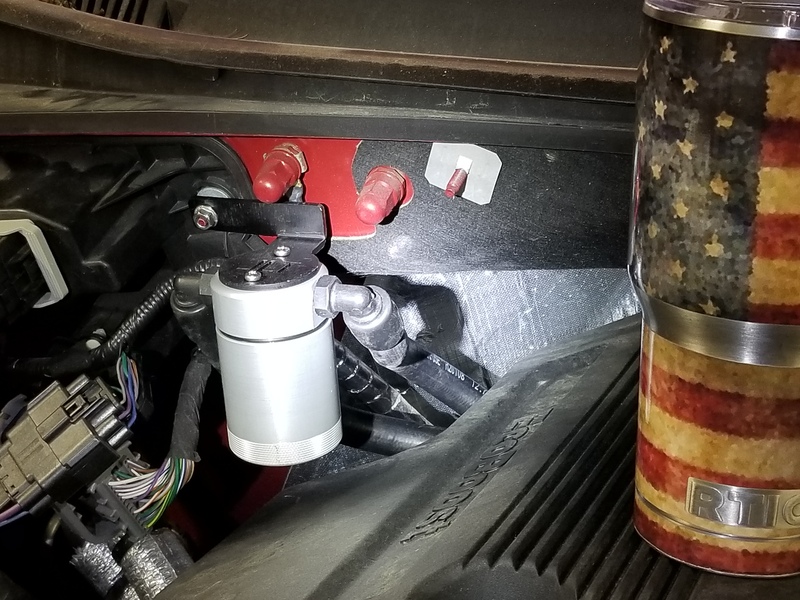 Without a check valve between the can and the intake manifold, whenever you're under boost, you're pressurizing the can and filling the dirty side line of the can, meaning when you get back into vacuum, there's more oil going through the filtered area at all times. In my opinion, you're almost there. The heavy duty check valve from UPR seems to do the trick. 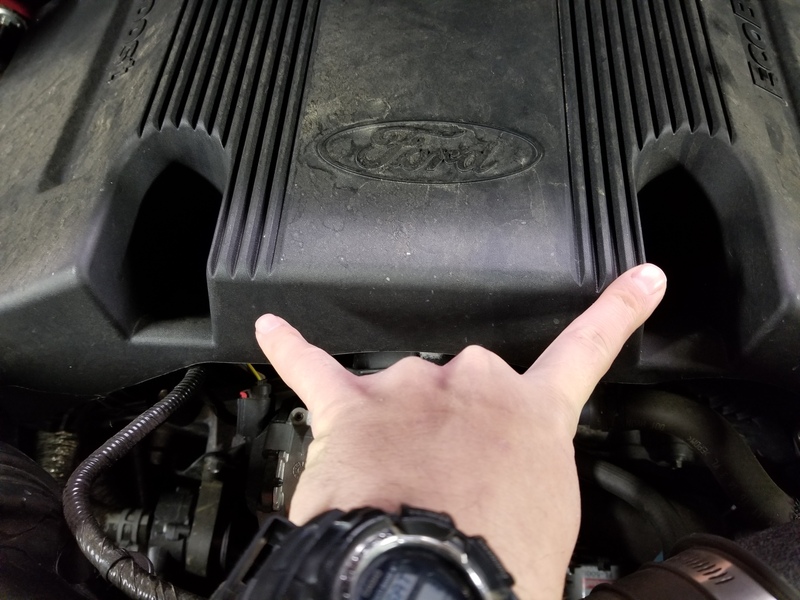 Goes on the line from can to intake manifold, flow towards intake. 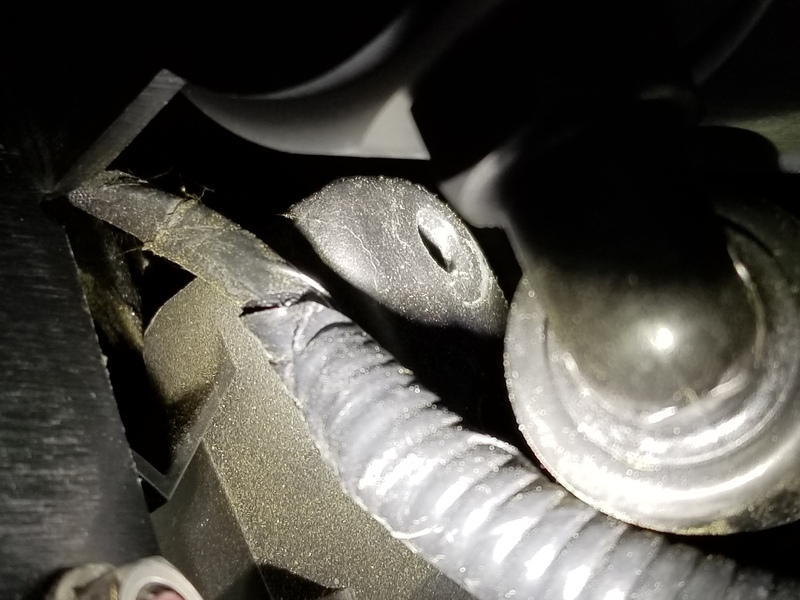 Although the valve comes with arrow for direction of flow, it's a good idea to double check by blowing into it before installation (in case it was assembled backwards). I agree with pressurizing the can in boost, but are you really getting any flow? Not sure how much pressurized air would move oil if it isn't flowing due to the PCV being closed when in boost. I am not sure though. 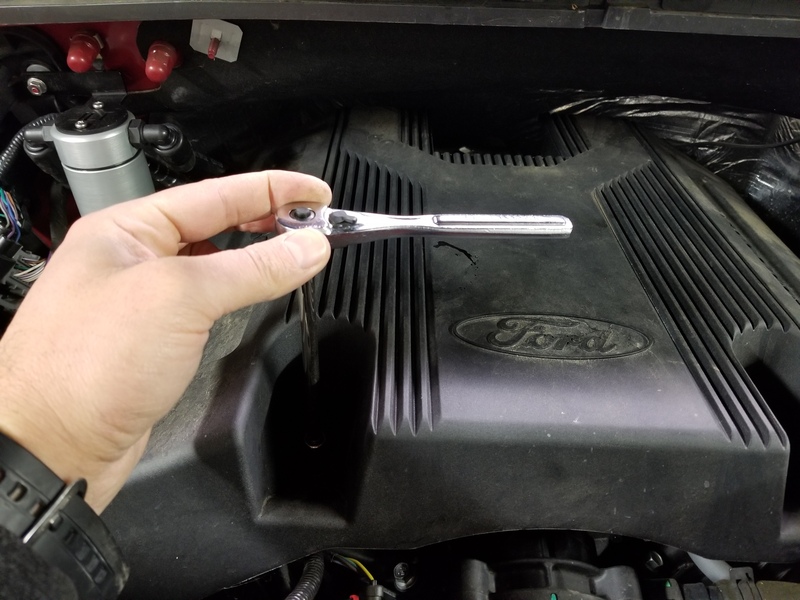 The PCV valve should stop anything going back into the crankcase, but the pressure in the can will push it all to the PCV valve, including some oil. I have one of these also. I was quite surprised at how much it collects and have been emptying it every 700 miles or so which typically has it about 75% full. In hindsight, if I had it to do over again I'd go with something bigger and more robust. Maybe even a dual side setup complete with check valves like UPR. But hey, my anniversary is just around the corner and mama has been asking what I want for a present this year. JLT 3.0 Oil Separator results after first 750 miles video. Catch can results 1 week vs 1 week 7 1/4 mile passes. Catch Can results... 1588 miles and it's full!